Tyrees Classy Lady, foaled our first foal of 2007 on March 20, 2007. It is a light bay dun filly. She is for sale. Her name is Hombres Classy Tyree and we call her Ziva. She is enrolled in the Incentive Fund. 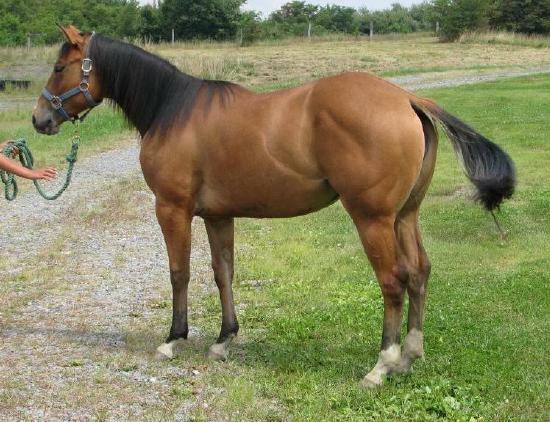 Her dam is Two Eyed Jack breeding with 8 AQHA Champions on her 4 Generation pedigree. Additional pics are available of her, just ask. 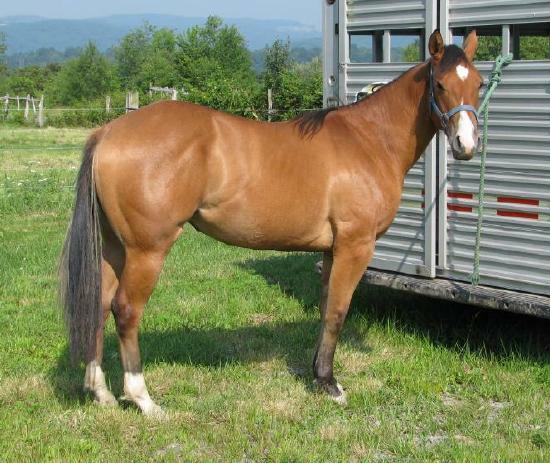 Super nice prospect for roping, working cowhorse or teampenning. She has looks, disposition and atheletic ability. She should be eligible for all of the foundation registries also. 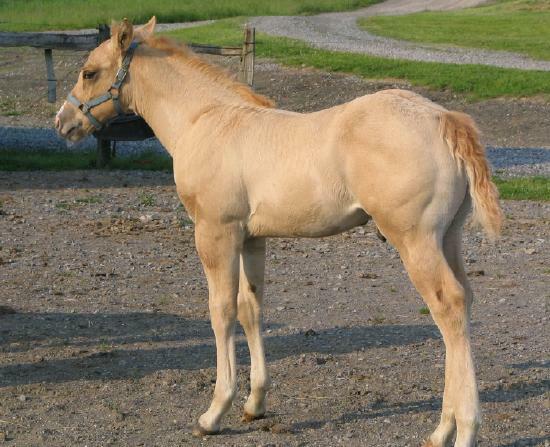 UPDATE: I tested this filly for the dun gene at UC Davis and the results are back and she is a dun. Easy payment plans also available. 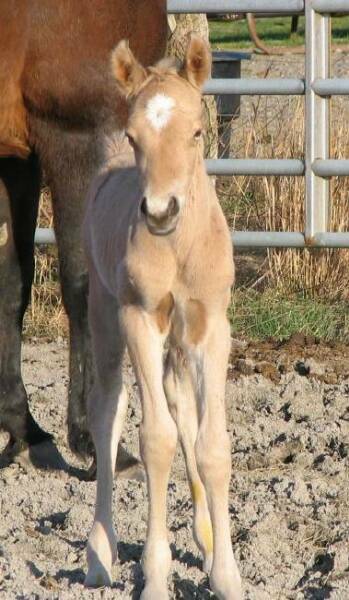 Our second foal of 2007 was born March 30 and is a buckskin filly out of Annie Banjo Lynx. 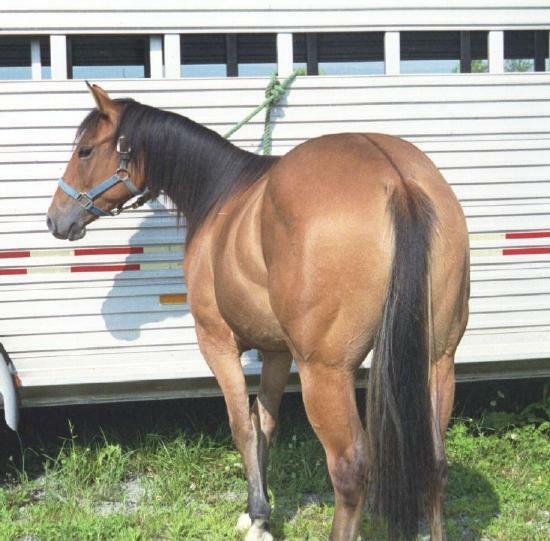 Annie was a proven producer with NRHA moneyearning offspring and she was a daughter of NCHA moneyearning son of Doc's Lynx. Due to being orphaned at 3 weeks of age, I have dropped Izzie's price to $2300. She is doing fine and drinking out of a bucket and only needs fed twice a day. Price will likely go back up, so to get her at this price you need to act quickly. 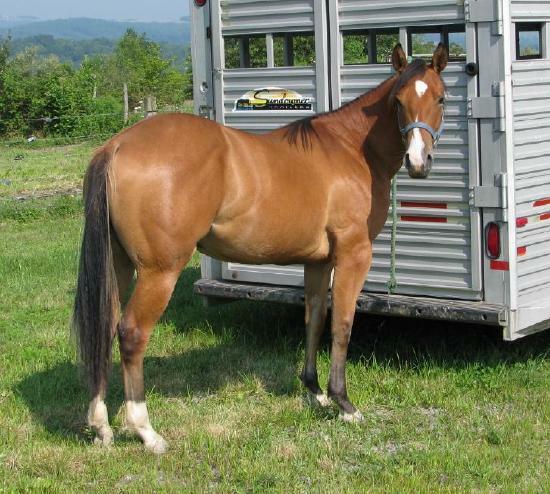 She would make a super cute reining/working cowhorse prospect. She is super quick and agile on her feet and is already doing really nice rollbacks on the fenceline. 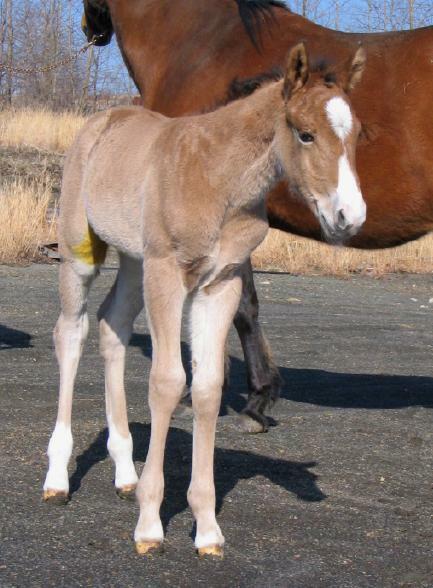 Our third foal of the year was born April 3 out of Classy With Command, aka Lady, everyone's favorite mare on the farm. Lady is by a point earning son of Man In Command and a granddaughter of Croton Oil. 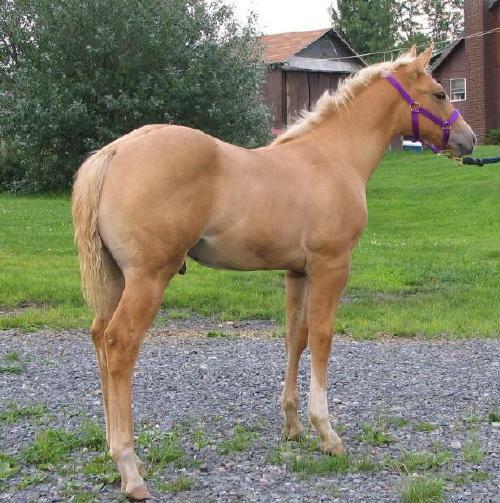 He is a big palomino colt. His name is Hank. He is very laid back and friendly. 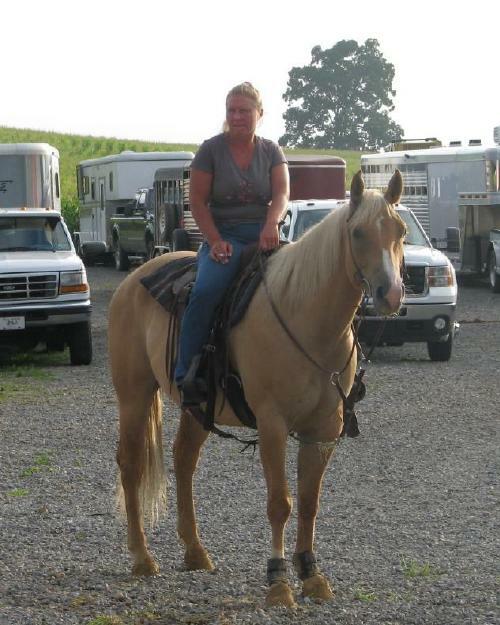 Hank is not for sale as we have decided to keep him for a trail horse. Top left pic at 1 day old, the one to the right at about 5 weeks and the rest at about 7 weeks. Top three pics above are taken at one day old, the one on the right taken at just a little over 1 week and the one below taken at about 7 weeks and bottom right about a week shy of 4 months old. Pictured above at 1 day old, the next one at 4 1/2 months and the one at right at 6 months and bottom six at 16 months. Please note that all of their dams pics and pedigrees are on MY Mares page. All foals are by my stallion, El Hombre Solano and all are Incentive Fund eligible. 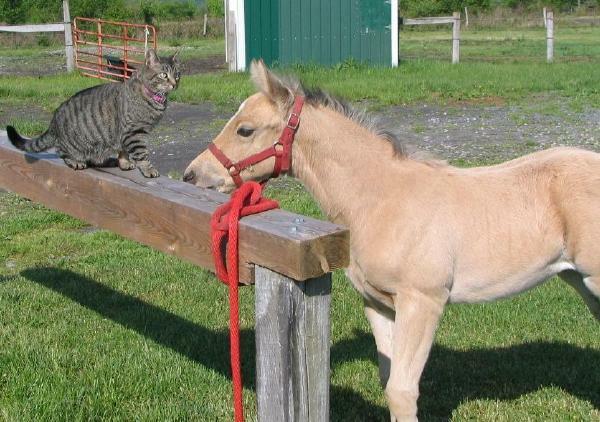 Also I do offer reasonable payment plans on all of my foals...so email and ask me about it. Additional pics or video available upon request.